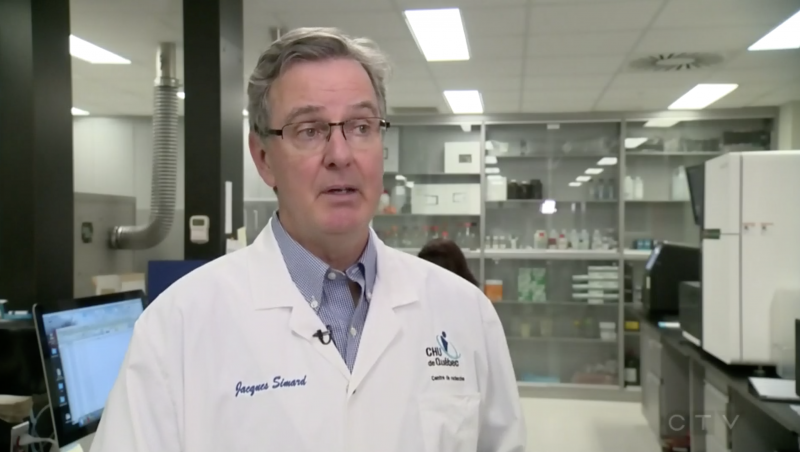 (CTV Montreal) — Quebec researchers are part of an international study that shows a simple saliva test could help predict a woman’s risk for the disease – a potential breakthrough in cancer screening. The study started years ago, involving hundreds of scientists across the world, according to Jacques Simard, study co-author and Canada Research Chair in Oncogenetics at Laval University. The study aims to better understand the role of genetics in the risk of breast cancer. Researchers pooled DNA samples – mostly saliva – to compare 94,000 women who had breast cancer to 75,000 who didn’t.